Vendor supplied software has become a high-value/high-risk acquisition to Vendor Management Offices (VMOs) in every industry vertical. The sourcing of Application Development and Maintenance (ADM) is shifting from time and material to outcome-based agreements. With the skyrocketing costs of I.T outages and breaches, trustworthy software that is secure, resilient, and dependable is just as important as time and cost in contracts. Dr. Bill Curtis will discuss best practices and measures to use in managing your software vendors to ensure you are protecting your organization from unnecessary risk. 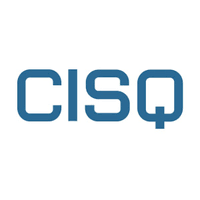 In particular, he will introduce the CISQ structural quality measures as a way of measuring the trustworthiness of vendor supplied software. Dr. Bill Curtis is the Executive Director of the Consortium for IT Software Quality™ (CISQ™), an IT leadership group that develops standards for automating software measurement. He will introduce standards and best practices for managing and measuring the acquisition of trustworthy software. He is best known for leading development of the Capability Maturity Model (CMM) at the Software Engineering Institute (SEI), which has been widely used in managing software vendors. He will introduce principles from the Trustworthy Systems Manifesto aimed at executives that set policy for acquiring vendor-supplied software included in business and mission-critical systems. *All attendees will receive examples and common language based on industry standards to set requirements in Requests for Proposals (RFPs), vendor contracts, and acceptance criteria with software supplier partners.